The core issue of the debate is large and important: what were the social factors that brought about the major economic transformations of the European economy since the decline of feudalism? Feudalism was taken to be a stagnant economic system; but in the sixteenth century things began to change. There was something of an agricultural revolution in England, with technological innovation, changes of cropping systems, and significant increase in land productivity. There were the beginnings of manufacture, leading eventually to water- and steam-powered machines. There was a population shift from the countryside to towns and cities. There was industrial revolution. (Marx describes much of this process in Capital; here’s an earlier post of his concept of “primitive accumulation.”) So what were the large social factors that caused this widespread process of social and economic change? What propelled these dramatic changes of economic structure? The great economic historian M. M. Postan offered a simple theory: “Behind most economic trends in the middle ages, above all behind the advancing and retreating land settlement, it is possible to discern the inexorable effects of rising and declining population” (Medieval Economy and Society: An Economic History of Britain in the Middle Ages , p. 72). Against this view, Brenner writes: “Under different property structures and different balances of power, similar demographic or commercial trends, with their associated patterns of factor prices, presented very different opportunities and dangers and thus evoked disparate responses, with diverse consequences for the economy as a whole. Indeed, . . . under different property structures and balances of class forces . . . precisely the same demographic and commercial trends yielded widely divergent results” (Brenner 1982:16-17). Key to Brenner’s argument is the fact that agricultural change was substantially different in England and France; so he insists that an adequate causal explanation must identify a factor that varies similarly. From the distance of several decades, the dividing lines of the Brenner debate are pretty clear. One school of thought (Postan, Ladurie) attempts to explain the economic transformations described here in terms of facts about population, while the other (Brenner’s) argues that the central causal factors have to do with social institutions (social-property relations and institutions of political power). The demographic theory focuses its attention on the factors that influenced population growth, including disease; the social institutions theory focuses attention on the institutional framework within which economic actors (lords, peasants, capitalist farmers) pursue their goals. The one is akin to a biological or ecological theory, emphasizing common and universal demographic forces; the other is a social theory, emphasizing contingency and variation across social space. A voice that doesn’t come into the debate directly but that is highly relevant is that of Douglass North. His book (with Robert Paul Thomas), The Rise of the Western World: A New Economic History , offers a theory of modern economic development that falls within the category of “social institutional theory” rather than demographic theory. But whereas Brenner finds primary causal importance in the institutions that define local class relations (a Marxian idea), North argues that property relations that create the right kinds of incentives will stimulate rapid economic growth (a Smithian idea). And North finds that this is the innovation that took place in England in the early modern period. It was the creation of capitalist property relations that stimulated economic growth. But it seems clear in hindsight that these are false dichotomies. We aren’t forced to choose: Malthus, Marx, or Smith. Economic development is not caused by a single dominant factor — a point that Guy Bois embraces in his essay (Aston and Philpin, 117). Rather, all these factors were in play in European economic development — and several others as well. (For example, Ken Pomeranz introduces the exploitation of the natural resources, energy sources, and forced labor of the Americas in his account of the economic growth of Western Europe (The Great Divergence: China, Europe, and the Making of the Modern World Economy ). And I suppose that it would be possible to make a climate-change argument for this period of change as well.) Moreover, each large factor (population, prices, property relations) itself is the complex result of a number of great factors — including the others on the list. So we shouldn’t expect simple causal diagrams of large outcomes like sustained economic growth. Not all the heat of this debate derives from a polemic between a neo-Marxist theorist and the Malthusians; there is also a significant disagreement between Brenner and another important Marxist economic historian, Guy Bois. 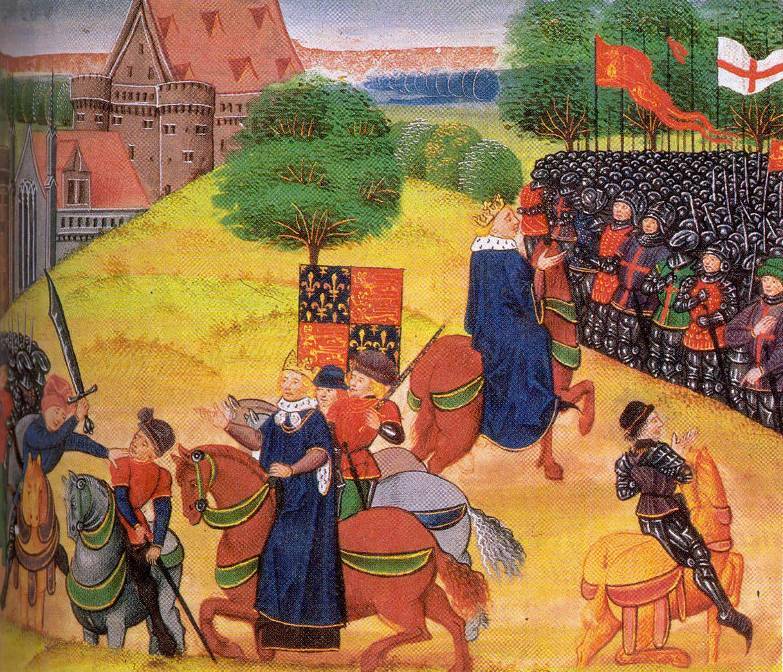 Bois’ Crisis of Feudalism appeared in 1976 — the same year as Brenner’s first paper in the debate. The crisis to which Bois refers is an analogy with a classic Marxist claim about capitalism: where Marx discerned a crisis in capitalism deriving from the falling rate of profit, Bois found a crisis in feudalism deriving from a falling rate of feudal levy. (Here is an interesting review by Chris Harman of another of Bois’ books, The Transformation of the Year One Thousand: The Village of Lournard from Antiquity to Feudalism .) Bois criticizes Brenner’s account for being excessively theory-driven. He argues that Brenner begins with a commitment to class struggle as a fundamental explanation, and then forces the facts of French and English rural life into this framework. Better, he argues, to let the complexity of the historical situations emerge through careful evaluation of the evidence. “Brenner’s thought is, in fact, arranged around a single principle: theoretical generalization always precedes direct examination of historical source material” (Aston and Philpin, 110). And Bois argues that the evidence will suggest that it is the declining feudal levy rather than the capacity for resistance by French peasants that best explains the course of events in France. In short, one important consequence of the Brenner debate was the renewed focus it placed on the question of social causation. Brenner and the other participants expended a great deal of effort in developing theories of the causal mechanisms that led to economic change in this period. And in hindsight, it appears that a lot of the energy in the debates stemmed from the false presupposition that it should be possible to identify a single master factor that explained these large changes in economic development. But this no longer seems supportable. Rather, historians are now much more willing to recognize the plurality of causes at work and the geographical differentiation that is inherent in almost every large historical process. So the advice that Bois extends — don’t let your large theory get in the way of detailed historical research — appears to be good counsel. It's perhaps a fundamental cognitive bias that singular events seem to cry out for single causes. In fact singular events are more likely to be the product of multiple, time-varying factors. These factors aren't likely to be very well-correlated (if they were, the event wouldn't be singular or rare.) Climate change as one factor among several interests me because it might spur innovation, or the acceptance of innovation (social, legal, technical) among *all* classes, since adverse weather (especially cold weather) and stunted crop growth affects all classes (albeit unequally) to some extent.